Soundgarden at Metropolis. Photo Jean Frederic Vachon. Nothing says “time flies” like realizing that Soundgarden’s Superunknown album turns 20 years old this year. 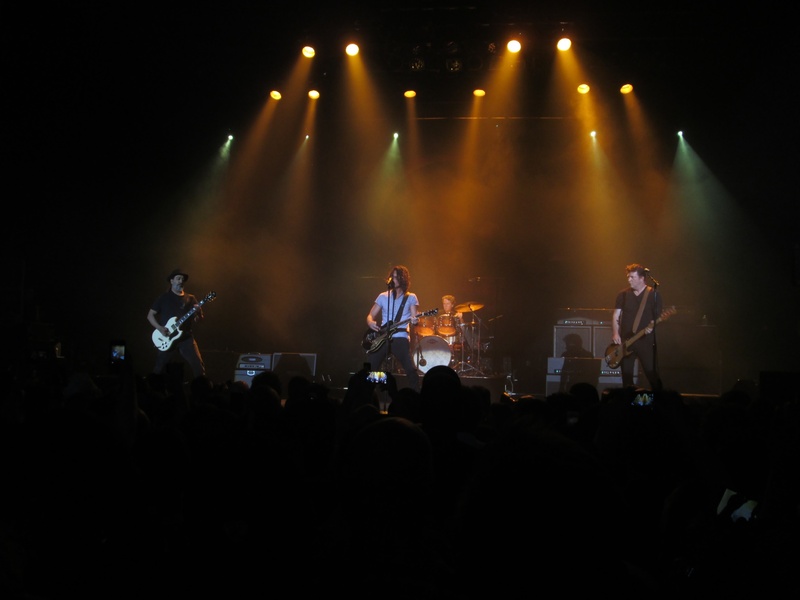 The Seattle quartet is back on the road to promote the anniversary re-release of its landmark album, and last night, they were back in Montreal for the first time since 1994 (I think), this time playing to a sold out Metropolis. 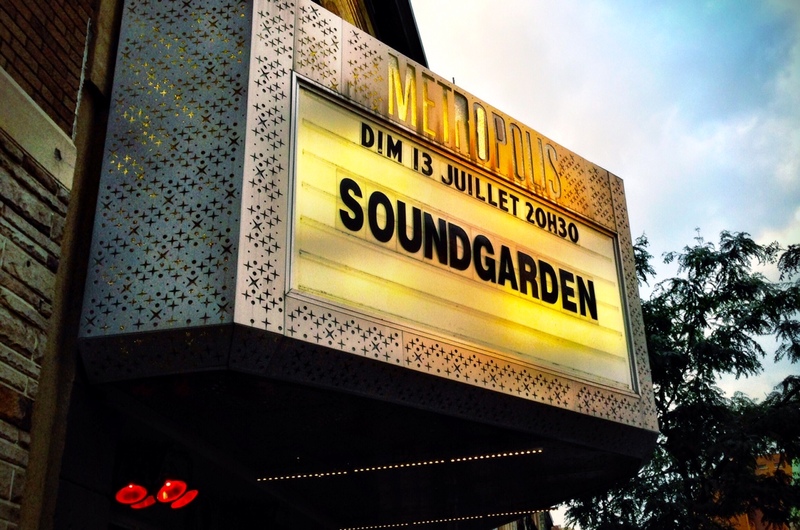 Billed as “An evening with Soundgarden”, there was no opening act. Soundgarden at Metropolis. Photo Jean-Frederic Vachon. It was hot, sticky and stinky inside the crowded venue, but once the band hit the stage (25 minutes past the announced time), it didn’t matter anymore, as people sang along to all the hits, and to the lesser-known tracks too. The band did not play Superunknown in its entirety as they’ve done a few times on this tour (apparently this is reserved for gigs where drummer Matt Cameron plays with them when he’s not busy with Pearl Jam), but they still played 9 of its 15 tracks. With no artifice save for a banner at the back, the band took to the stage and tore into Searching with My Good Eye Closed before playfully announcing their “new single” and launching into Spoonman. The band was tight, with those heavy detuned riffs precisely executed to lay the foundations over which Chris Cornell’s powerful vocals wailed. Cornell’s vocals were on display early in the show when the band played Nothing to Say from their first album Screaming Life, and he was in fine form. 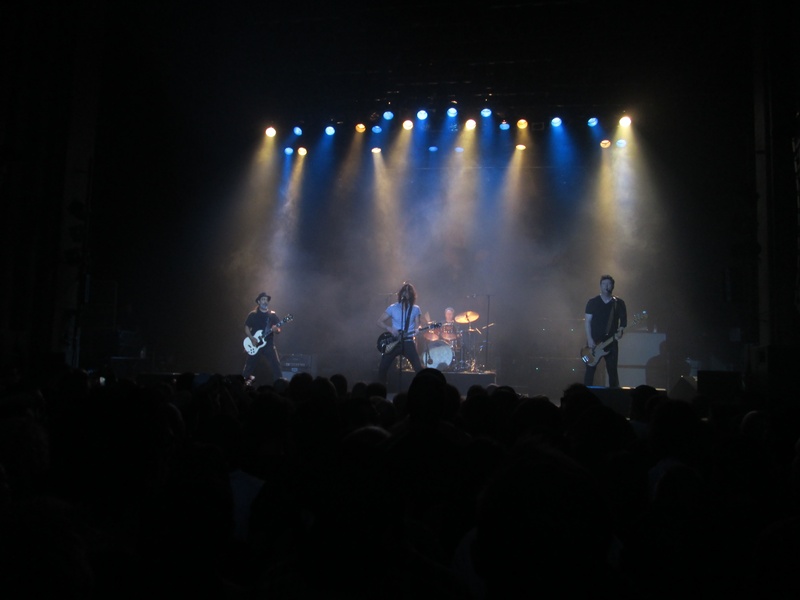 The band’s performance can be best described as “quiet intensity” as they’re not the most dynamic people on stage (except for bassist Ben Shepherd who’s quite animated), but that’s not to say they weren’t into it. Far from it! 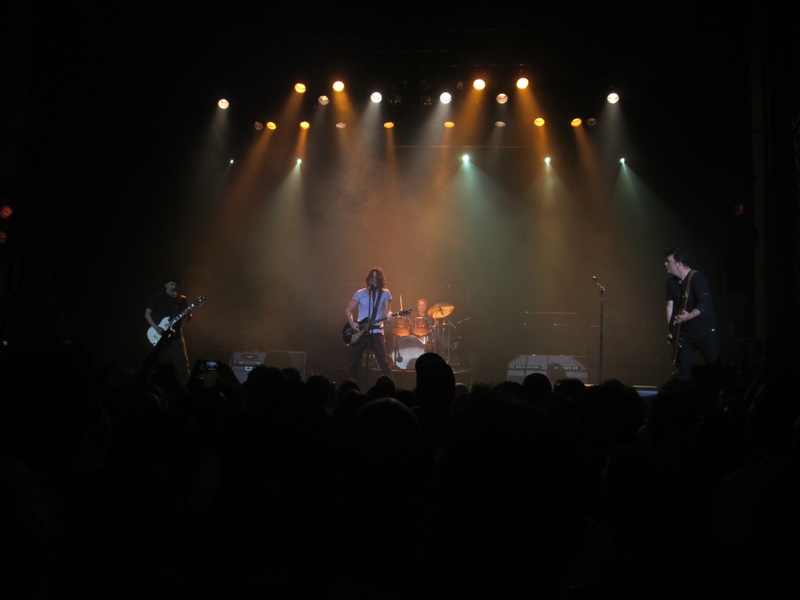 Outshined, Black Hole Sun, My Wave and Superunknown were some of the highlights of the 100-minute performance that featured 3 tracks from their 2012 comeback release, King Animal, including the rocking single Been Away Too Long. And the great thing is that those 3 tracks fit in perfectly with the older material, like that 16 year gap between albums never existed. Kudos to the sound crew too: while most bands at this venue sound overloaded when you’re on the floor, this time you could distinguish every instrument. Even Jesus Christ Pose, which was best described as controlled chaos (and that’s a good thing), sounded clearly. 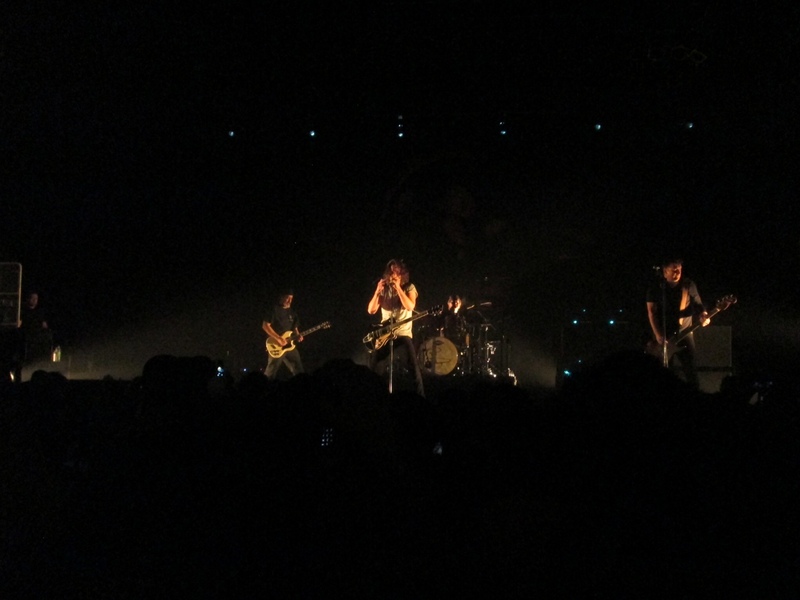 The setlist was front loaded, with most of the big hits coming early in the show. This was a nice deviation from the norm, but my only negative about the show is that the second half felt a little disjointed. There were no encore either, as the band never left the stage until the dying notes of Beyond the Wheel, leaving their instruments screaming in feedback for a long time, never to return. Soundgarden’s place in rock history is curious. Lumped in with the other grunge bands from Seattle, its music is actually closer to Black Sabbath than it is to Nirvana. If their comeback is permanent, maybe they can confirm their legacy as one of the better rock bands from the 90’s, and especially one of the more timeless ones. And let’s hope they come back sooner to Montreal. Been away too long indeed. You can read more of Jean-Frederic Vachon’s music reviews at his blog HERE.